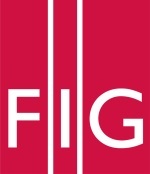 Join the one-hour Webinars organised by FIG Platinum Corporate member ESRI. In one efficient hour just in front of your own computer you will learn about the latest technologies from the experts. FIG and our platinum corporate member ESRI invite you to join us for an educational webinar series highlighting special topics in GIS for land administration. Whether you are working with a new or fit-for-purpose cadaster system, or are fully equipped with the latest capabilities, these webinars will update you on current technology and give you a clear path forward. The two webinar are held at different times of the day in order to make it possible for you to paricipate in at least one of the webinars. Each webinar is sceduled to one hour, and is a unique opportunity for you to be updated with the latest knowledge in a short time without any travelling costs. Configurable off-the-shelf spatial technologies are now available for fit-for-purpose cadastral systems. There is no longer a need for custom programming, complex implementations, and special skills. Leveraging standard data models such as the Land Administration Domain Model (LADM) and commercial off-the-shelf (COTS) GIS data and technology deliver systems that are quickly implemented, secure, scalable, evolve with changing requirements and supported by numerous public, private, and NGO communities. Attend this webinar, see sample implementations, understand the capabilities, and learn how to get started. Register now for the first webinar in our series that will explore how COTS technologies are revolutionizing fit-for-purpose cadastral systems through automation. We hope to see you there. Gone are the days of building highly customized cadastral systems with siloed disparate technologies. They’re too expensive to maintain and they don’t keep up with all the new capabilities that GIS provides. ArcGIS is a complete, interoperable, open, and purpose-built system for cadastral operations to improve efficiency, manage data integrity, and share data across your organization and with the public. Whether you aim to improve data quality, increase throughput, or improve spatial accuracy, become more transparent - the ArcGIS platform delivers necessary capabilities. Attend this webinar to learn the capabilities, and how to get started.